We are looking for a motivated individual to join our team in Phnom Penh as a Junior Sales Executive. You would be a vital part of the process of building the CamboTicket network, and as such, you should have excellent interpersonal skills. 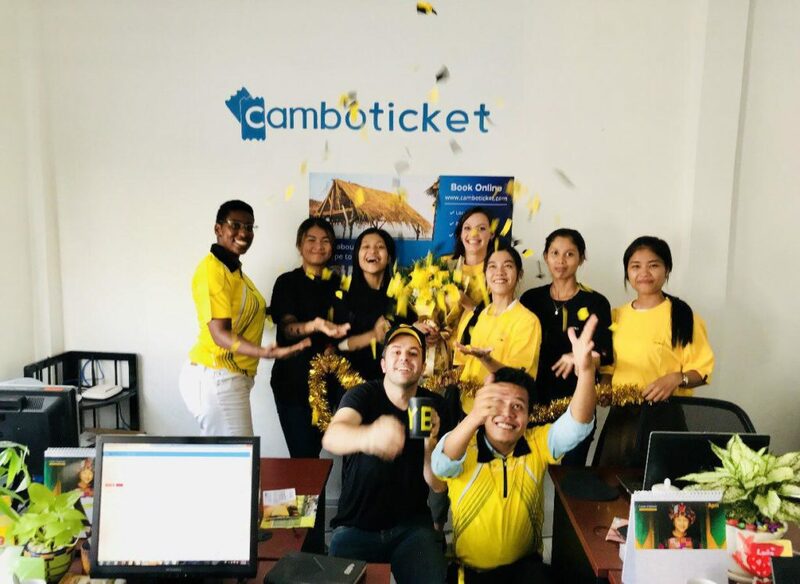 By participating in the expansion of CamboTicket, you would be in contact with all the areas of the business from day one, gaining valuable exposure to how a start-up works. For that reason, please take a moment to read about what we do before sending your application. Our team is young and dynamic, so don’t worry if you are a student fresh out of university, we carry out the trainings! The most important requirements are flexibility and dedication. As a small tech start-up led by a cohesive team, all of the members of the CamboTeam are ready to help out wherever they might be needed. Although your job would be mainly Sales, you should expect to pitch in on other areas of work when you are needed. Teamwork makes the dream work! · Strong interpersonal skills that would make you a good salesperson. You can send your CV to Savoth at savoth@camboticket.com explaining your motivation behind your application. Please beware of typos and mistakes in your CV!